First, some history: Twenty-five years ago, a group of visionary City Council members took a bold step to insure independence, creativity and development of arts and culture in our community. They created a new entity, financially and managerially separate from the influences of city politics, but partnered with the city in the common goal of realizing the citizens’ vision of arts and culture as a cornerstone value of our community. As a separate entity, this new non-profit would be able to solicit financial support from the community, promising donors their contributions would be used exclusively to promote the arts. Eventually, this unique partnership became the envy of other cities in the valley and across the nation. Now today: The Cultural Council Board of Trustees just approved their operating budget for next year. It includes the $4.2 million management contract from the City; another $4.4 million of earned revenues (primarily ticket sales); and $2.1 million of private contributions. The city’s contract award is effectively leveraged 2.5 times into a $10.8 million integrated collection of cultural arts programs and education. Embarrassingly, compared to our population of 225,000, the city’s $4.2 million contract amounts to just $18.85 per person…roughly equal to one Harkins Theater ticket with a small popcorn. This is the City’s financial commitment to what citizens repeatedly list as one of the four pillars of their community! The same critics voice alarm over a lack of transparency as to how the City’s money is spent. That’s an odd argument! The Cultural Council answers to a city contract administrator (as does the CVB; the PGA; the Giants; indeed, every other city partner); they are governed by a board of business and civic leaders; their books are audited by an independent CPA firm; and their meetings are open to the public, with the press in attendance. If these critics don’t know how city money is being spent, it may be a more damning criticism of them than the Cultural Council. 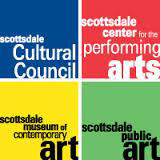 In the current and proposed General Plans, citizens continue to affirm a vision for Scottsdale with an enhanced reputation for arts and cultural development – a community that “…builds on its cultural heritage [and] identifies and promotes the arts…” If I am elected your Councilman, you can count on my support for arts and culture in our community. I ask for your support in the upcoming Council elections.